29 April 2014. Mayo Clinic in Rochester, Minnesota now offers cancer patients with solid tumors a test that enables physicians to tailor chemotherapy drugs to the patient’s specific genetic background. The test known as Solid Tumor Targeted Cancer Panel or CANCP is available to patients at the Mayo Clinic and its affiliates worldwide, through the clinic’s medical labs in Rochester. 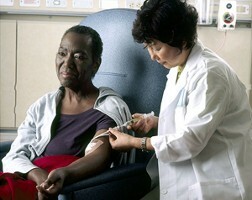 The test scans specific regions in 50 genes most associated with tumor growth and the body’s response to chemotherapy. This method, called a hotspot panel, focuses only on the areas of the genes known to produce mutations that influence the action of chemotherapy drugs. Thus, physicians can more precisely prescribe chemotherapy drugs that better fit the patient’s genomic profile. The test requires specimens sent to the Mayo Clinic Medical Laboratories, which are analyzed with next-generation genomic sequencing. Next generation sequencing uses high-throughput computing power to determine the precise order of molecules in an individual’s DNA, and in this case identify variations and mutations in that sequence associated with cancer. CANCP is the second genetic-based cancer screening test offered by Mayo Clinic. The first test is a 17-gene panel to identify hereditary colon cancer syndrome.